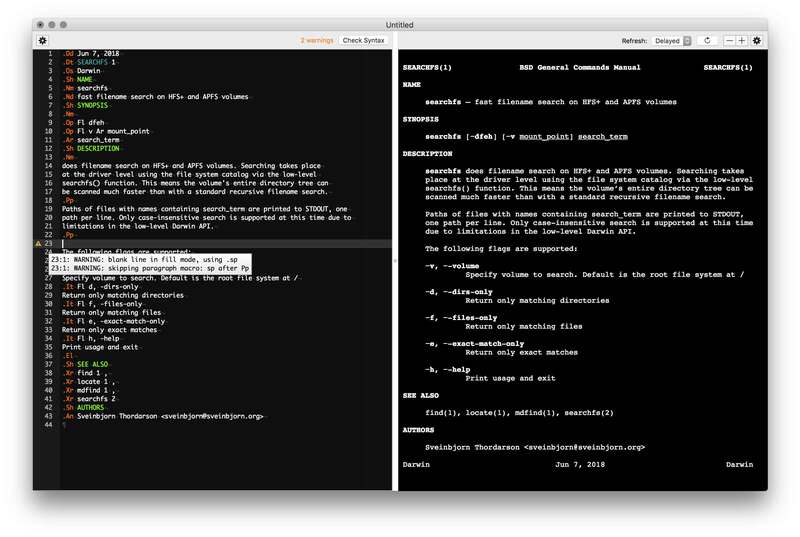 ManDrake is a native man page editor for macOS. It has syntax highlighting, live mandoc syntax validation and a live-updating rendered preview of the man page during editing. Long story short, I was sick of writing man pages in an endless cycle of edit-view, edit-view so I decided to do something about it and made this editor. It's a bit rough around the edges, but it works really well for me. Maybe it will also be of some use to you. or, alternately, read this page. 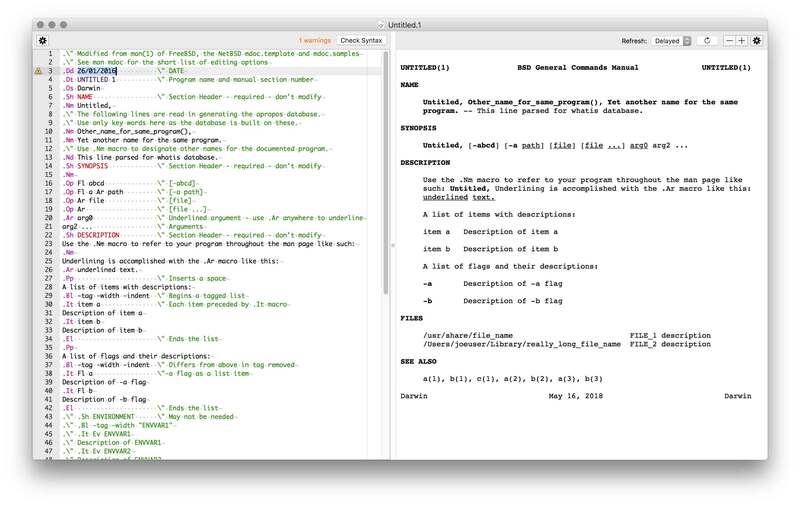 ManDrake is free, open source software and has a home on GitHub. If you like it, feel free to make a donation..